This week we've learned The Truth About Love and now we get a glimpse into The Origin Of Love. My first thought when I heard the title of Mika's third album took me back to Hedwig and the Angry Inch to one of my favorite songs from that soundtrack and while there is a similar level of camp in both recordings... that's where the similarities end. 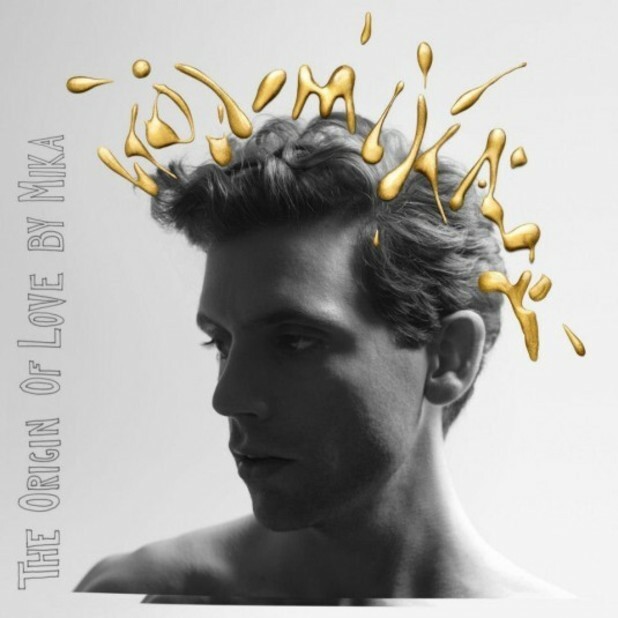 What you get each time Mika releases an album is growth and maturity but you also get a tremendous amount of experimentation that almost always pays off. I have yet to be disappointed and this album is no different. The album isn't out until October 16 and I can tell you it's going to be an almost unbearable wait until it's officially released. The album is nothing short of pure infectious pop. From start to finish, there isn't a song that doesn't just build and swell and you just get wrapped up in it and before you know it, you're bobbing along with the track and then it's on to the next one. It is so easy just to forget everything around you with this album playing. By the time you get to "Heroes", you are so invested it doesn't matter what the next track is and in this case, it's a helluva song. Up until that point there are so many highs I don't think there was ever a lull. From the sample from Wicked used in "Popular Song" to the push and pull of the tide in "Undertow" there are so many great tracks. "Lola" and "Emily" are two girls that you would have a great time at a party with. "Love You When I'm Drunk", "Overrated", "Celebrate" just are upbeat crazy songs that you never want to end. It's an incredible album that I can't and won't pick favorites. I will say it's a hard decision between which I like better, this album or Life in Cartoon Motion but they are both amazing albums. October 16th is going to be a great day and I will be waiting on my download of this album. It's going to be so great to have it in my possession. Does the album stand up to my association with Hedwig? Yes sir. It does and then some. I've said it before, 2012 has been an incredible year for music and it's not done yet. Life in Cartoon Motion was just so much FUN, I don't know if I can wait until the 16th for The Origin of Love... squeeeee!!! Thanks for posting "Celebrate"... it's got me looking very forward to the release date. Where LiCM was fun, I get the feeling that TOoL will be more lush... more full and well rounded. Still funky, but kind of a big-boy funky. Can you picture me doing the Snoopy Happy Dance over here? !